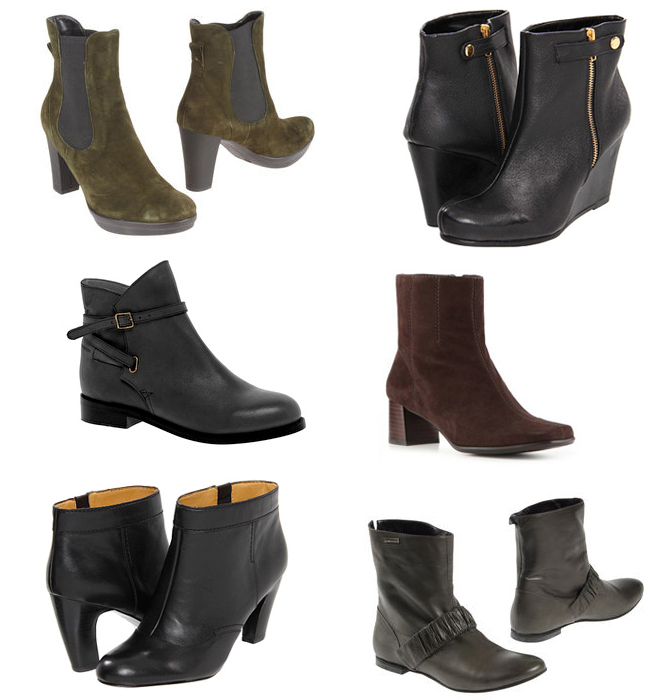 Whatever you call them, it’s hard to deny the versatility and great look of an ankle boot. If you don’t like the idea of wearing these with skirts and dresses (I get how the chopped up line doesn’t work for everyone), ankle boots still work really well with jeans and pants. This is especially true for those of us in warmer climes, where a full height boot is pretty oppressive on all but a few days out of the year. These are all leather or suede, and as always, under $100. Looking for more flat ankle boots? Try the Chelsea boots I posted about here. I love ankle boots! I’m glad there are so many with low heels to choose from since I am on the really tall side anyway! Thanks for sharing.